We have firm devotion in manufacturing and supplying superior quality Detergent Mixer. 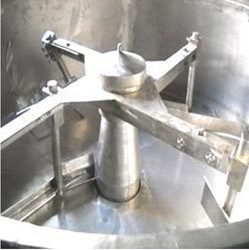 These mixers are best known in the market for excellent durability and high-efficiency aspects owing to their design and fabrication being done as per latest industrial norms. We have with us wide gamut of these machines for serving precise demands of customers with uttermost perfection. Pledge International is leading manufacturer and exporter of Automatic Detergent Powder Plant in various size. We have used industrial grade steel alloy to craft the body, which makes it resistant to chemicals and capable to withstand higher temperature. Our experts carry out the manufacturing procedure using the latest technology and thus, ensure these offerings to be of incomparable quality standard. 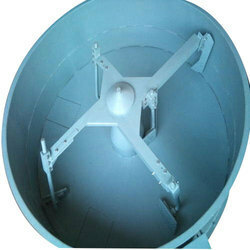 We are the manufacturer and supplier of Detergent Powder Mixer. Our products are highly appreciated by a client because these are manufactured by a high-quality material. 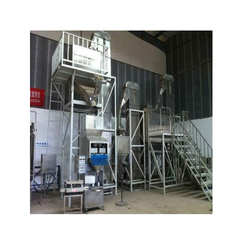 The offered powder making machinery is used to pulverize material like detergent powder, dyes, paint, bulk drugs and inorganic chemicals among others. 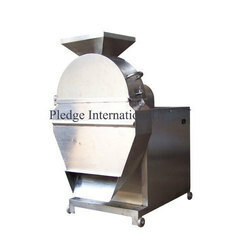 Pledge International offering Detergent Powder Screening Machine in SS & MS. It is used for Screening of after mixed detergent powder and which is used to pulverize material like detergent powder, dyes, paint, bulk drugs and inorganic chemicals among others. These machines are used to break lumps of solid and make it a fine and free flowing powder. Its unique ability is that this machine does not permit material wastage.